This is a campaign to help a girl's dream come true. Amy is 12 years old and has been dancing since she learned to walk. To this day she can't stand in a line or walk through a grocery store without unknowingly throwing in a dance combo or turn on a regular basis. It's simply in her blood. She began lessons in various dance forms at 3 yrs old and at times has trained 5-7 days a week leading into competitions. At the end of her very first season at an official dance studio she was awarded a full scholarship because of her potential. The next season Amy moved to Kali Andrews Dance company as they specialized more in the dance style that she loved and was invited to be a member of the Elite Competitive team. Each year she has continued to develop her skills and has won numerous year end awards and partial scholarships such as 2 x Studio Spirit Award and the Studio Inspiration award for compassion, hard work, team spirit, heart and determination. This young lady has developed an incredible work ethic and is always the first at a competition to greet new dancers and offer support to others and help any way she can. It's our turn to help her! 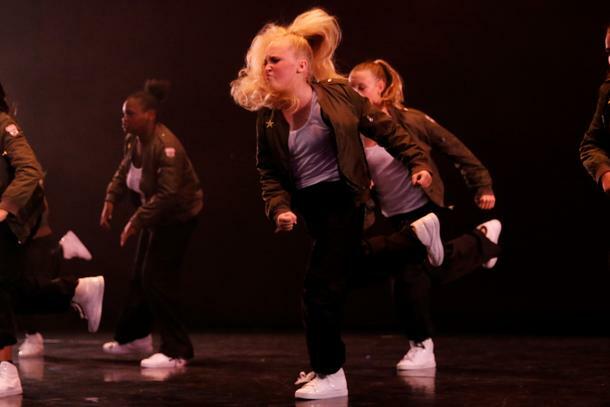 This spring Amy took a chance and auditioned for Team Canada that will be representing our country at the World Hip Hop Championships in Copenhagen Denmark in October. She is thrilled to announce that she has made the team! The challenge with this is that unlike other countries, Canada does not recognize dance as a sport and therefor there is no funding to help these athletes travel and compete at the World level on the International Stage. Amy must raise a MINIMUM of $3600 just to make it onto the team, travel to Denmark and cover entry fees and accommodations. We will also have to cover all other travel, costumes and choreography fees to rehearsals leading up to the competition as well as personal expenses such as food. Let's get this dancer on the World stage where she belongs! She will represent Canada and her love of dance with grace, dignity and joy!